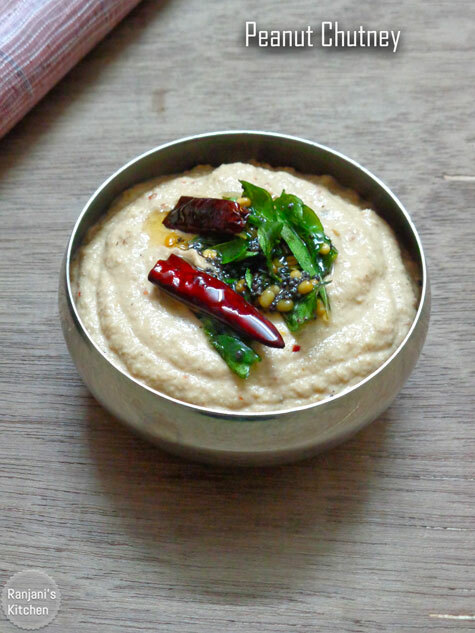 Groundnut chutney / verkadalai chutney – chutney tastes little tangy, mild sweet and spicy. It is well go with dosai or idli and also with lemon rice or puliyogare. I have posted groundnut chutney with coconut version before. This version tastes differently with the flavor of onion and garlic. 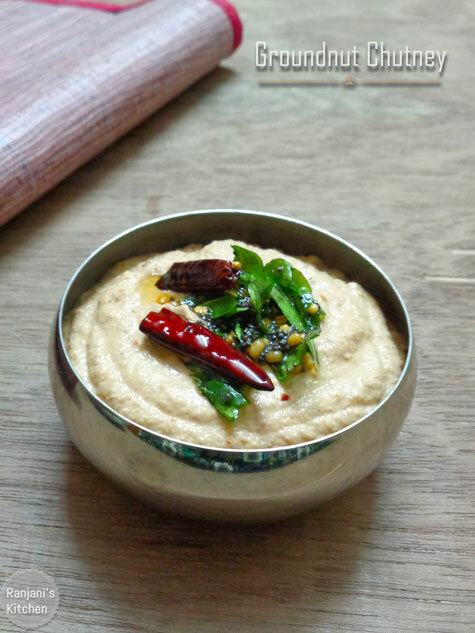 Here is a recipe with stepwise pictures of how to make groundnut chutney. Big onion – 1 no. Red chilli – 1 no. Heat a tawa, dry roast ground nuts till the skin changes its color to light brown. Do this process in low flame. Cool the nuts and peel off the skin completely and keep aside. In the same tawa, add a tbsp of oil, sauté chopped onions, garlic. and red chilli. Once the onion becomes transparent, add tamarind and jaggery. Stir for a min and turn off the flame. Cool down completely. In a mixer , add sautéed ingredients and roasted groundnuts together with salt and grind well to a smooth and fine consistency. Transfer the chutney to a serving bowl. Heat a tempering pan, add oil and season with the items given under “ to temper”. Add the seasoning to chutney and mix well. 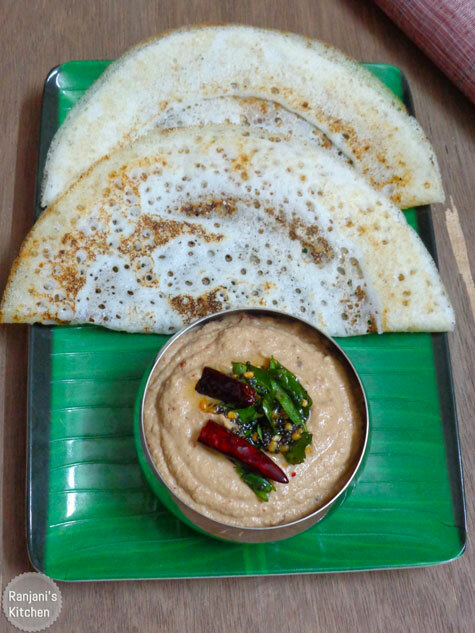 I tried it… awesome sidish for dosa…tasty tasty!!!! !